Junior Doctors explain why 98% voted in favour of strike action. 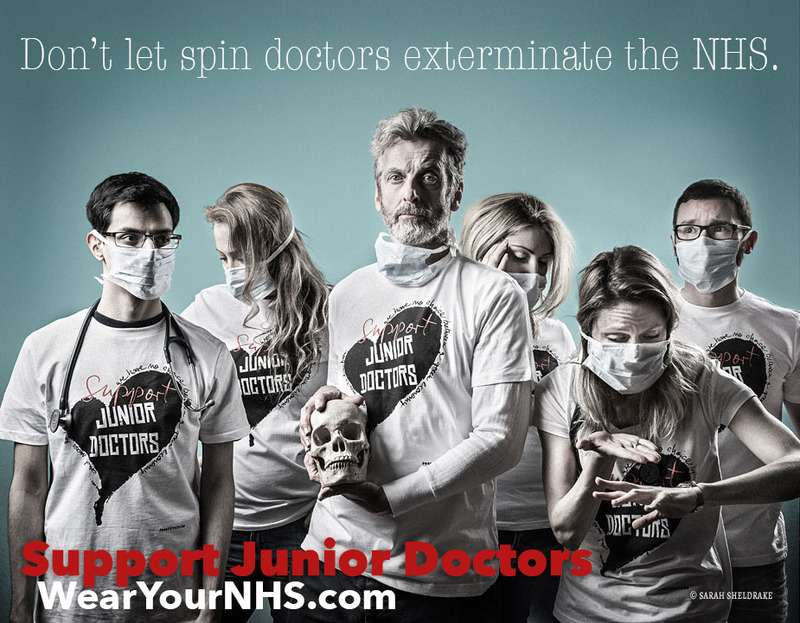 A campaign to raise awareness and support for Junior Doctors in England, who are currently at risk of having an unfair and unsafe contract imposed upon them. Campaigning for OUR NHS in Style! Junior Doctors stand for a contract that is both FAIR on them and SAFE for their patients. We may face one of the biggest medical brain-drains this country has ever seen if this contract is imposed in 2016. 70% of Junior Doctors questioned said they would leave the country or medicine altogether if it was imposed. 98% voted in favour of strike action. Junior Doctors are gravely concerned about their own contracts, the safety of their patients and the future of the NHS. All profits shall be split between The Junior Doctor Campaign and medical/ health charitable organisations. We would like your ideas on where you would like to see the money go to. At one of our MeetTheDrs events around the country to hear from the real doctors, not the spin doctors.